Sea-Scope has undertaken a large number of coastal and marine surveys throughout the UK, from Shetland to the Isles of Scilly. 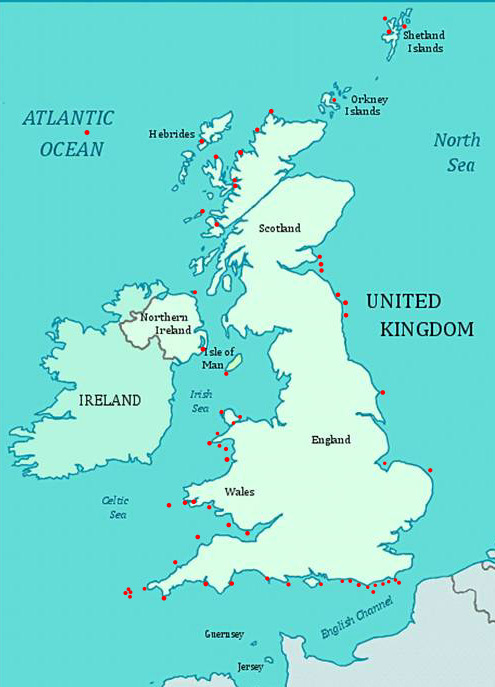 The red dots on the map below show the locations of diving surveys and projects we have undertaken. A full list of UK surveys and projects, undertaken since 1978 and arranged geographically around the coast, is given here.